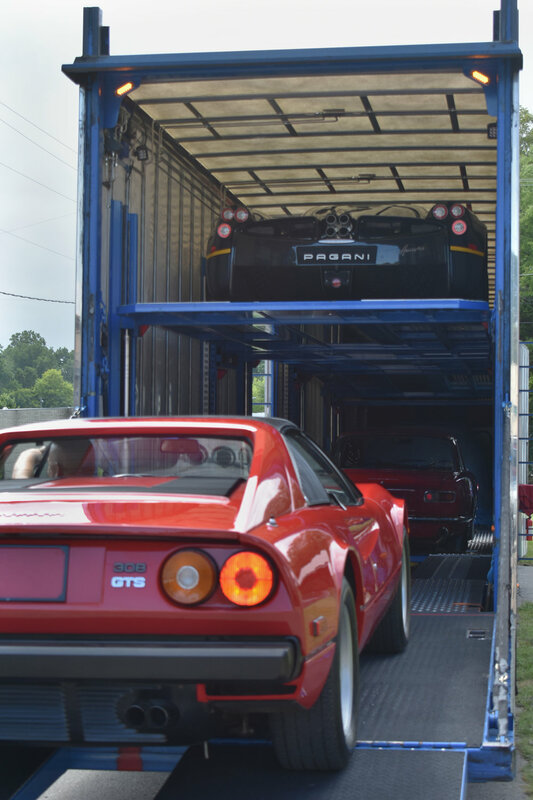 Today Mecum transport stopped by to pick up our 1964 ISO Rivolta and 1978 Ferrari 308GTS to take to Monterey Ca. for the Mecum auction. Two very special cars. Next week, Monterey car week, so time to pack our bags for our trip to the car crazy days. This year, my lovely wife will be going with me. It's our 25th anniversary, so I'm not sure if it will be as car crazy as the past 2 years. The Ferrari and ISO have good company for the trip to Monterey...a Pagani Huayra and a 1967 Ford GT40. The Pagani is one of the featured supercars at Mecum Monterey. Rare car to see in the USA. Some more images of the loading up.